"The service was commendable and I would indubitably refer the Glencove hospitable to my peers or to anyone who would listen." "Dr. Greco is amazing and I would (and have) referred her to my friends." "Dr. Greco is thoughtful, nice, lady like and considerate. I feel comfortable with her because I feel she is attentive and careful with respect for her patient. " "Although Dr. Greco was recommended highly, I felt like I've known her because she made me comfortable and at ease during this important first visit." "I love Dr. Greco. She's a wonderful practitioner & person." "Dr. Greco is terrific, professional, humble, empathic, honest. I drive over an hour for her expertise. She is supportive and kind. Remembers personal things I am going thru and always has a kind word." "Very though & answers questions." "Dr. Greco was warm and professional. She made me feel comfortable." "Despite her status, & knowledge, Dr. Greco is HUMBLE, friendly & somehow remembers details of my person life. I was very impressed when she shared it was time to refer me to a specialist. Some doctors are too arrogant for that." "Awesome, makes me feel at ease, friendly, concerned and funny." "As I have stipulated before Dr Helen Greco is a wonderful physician." "Dr. Greco is an angel sent fro HEAVEN!" "Dr. Greco is very personable and through." "Dr. Greco did not ask if I had any questions and the face to face time was not long enough." "Dr. Greco is the best doctor I have ever encountered. She is kind, compassionate and makes you feel so comfortable. I have been her patient for many years and she has taken good care of me. I have complete confidence in her." "I have been a patient of Dr Greco for over 20 years. She is an exceptional Dr. kind and compassionate knowledgeable and friendly and I would highly recommend her"
"previously stated she is GOOD"
"Dr Greco is incredibly knowledgeable and kind, patient and skilled"
"Dr Greco is a caring and knowledgeable professional, I was very satisfied"
"Dr. Greco is a wonderful doctor." "I have recommended her to all my friends and relatives"
"dr Greco and staff r awesome!!!" "Dr. Greco is a thorough, professional & truly caring doctor. I never feel hurried & she answers my questions completely. She tells me all the steps when she does her exam." "dr Greco makes you feel like she cares about you. u have confidence that she will lead ypu in the right direction. i recommend her to all mu family"
"Its too bad that there aren't more doctors who are as good and caring as Dr Greco. I refer her as often as possible!!!" "Dr. Greco is an amazing woman. She is brilliant as well as caring. I HIGHLY recommend her. She makes me feel very comfortable and confident during my appointment." "I fully trust Dr. Greco's expertise and very much appreciate her warmth in connecting with patients." "I'm happy to say I had a most convenient, helpful, informative experience during my visit. Dr. Helen Greco is the best and I most certainly recommend her to my family and friends." "Dr. Greco was extremely comforting and was so knowledgeable about what I had." "Dr Greco was great to deal with. I have already recommended her to other people. I cannot say enough words of praise for her. I am seriously considering switching to her from my current gynecologist of over forty years." "Dr. Greco is the best!" "Dr. Helen Greco is a classy, caring physician who is a lady who listens, even to what I may not be saying, but intending. She makes me feel valued and treats me with respect and encouragement. Dr. Badlani my former urologist recommended her to me years ago and I will always recommend her to friends and family, for there is no one else like her for she brings joy to her patients. Helen Greco MD. " "I've already recommended Dr. Greco." "I would definitely recommend Dr. Greco to other women." "I have been seeing Dr. Greco for years. I have recommended friends to her. She is an excellent, caring physician." "I have actually recommended Dr Greco to 2 other people and they are both love Dr Greco also!" "I really like Dr. Greco"
"Dr Greco is very compassionate and caring professional with knowledge. very very happy and satisfied with her care and she treated me as a professional. will recommend her services to anyone who wishes to use for any kind of gynecological procedure. Great doctor. She is an asset to North Well Health System. May God bless her." "Dr. Greco is a very professional, warm, and welcoming physician. Highly recommend!" "This was my first visit with Dr. Greco & although I was a bit nervous, she was friendly & kind & put me right at ease." "When I walked out of office, I ran into a friend and she told me she was nneed of a new dr. I recommended Dr. Greco immediately." "We didn't discuss my medications in detail"
"Dr. Greco is very attentive and caring." "Dr. Greco is very caring and efficient. I am grateful that she accepts "Emblem Health", as many of my dr.'s are not of her quality." "Dr. Greco has a great bedside manner and always spends time with patients." "dr Greco was and is fabulous. she was able to help me and get me relief. I am so grateful to her. she is marvelous!!!!!!" "Dr. Helen Greco is a wonderful doctor; very smart, professional, kind and thorough, listened to all of my questions and concerns." "dr. Greco is excellent! best doctor I have ever had"
"All good. Love Dr. Greco." "Dr. Greco was friendly & caring. I'd definitely go to her again in the future." "already made an appointment for a family member." "Dr. Greco is kind. Very present in the moments spend with me, and someone I hope will always be my physician! I love her!" "aI am so happy that Dr. Greco took me on. Wouldn't switch for anything. Listens, is knowledgeable and has great bedside manner. What else could a patient want from a professional?" "Dr. Greco is a very caring, knowledgeable MD who treats me with utmost respect." "The doctor I see provides excellent healthcare to me, I feel comfortable meeting with her, and she is always warm, professional, and courteous. She is an excellent doctor. I have great confidence in her." "Dr. Grecco is very caring and thorough. I would absolutely recommend her to others"
"My experience with Dr. Greco is excellent since the beginning. She is very pleasant and friendly. She makes me feel more of like a friend, than a patient. I have total confidence in her when it comes to my health." "Dr. Greco is the best of the best. Professional, caring, with a tremendous personality that exudes how down to earth she is. If the survey had a 20 she would be a 20. Unfortunately it takes a while to get appt for routine visit but knowing this it is prudent to book in advance. She took me immediately for an emergency. This is very important and she never pushes any issues to the side. She addresses them immediately. She is a true find!" "Dr. Greco is an amazing physician. She made me feel at ease and calm. She is a true professional. I would recommend Dr. Greco any time. She is wonderful." 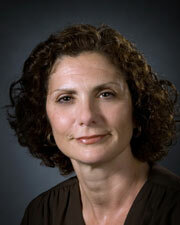 "Dr. Helen Greco is an excellent doctor; I've been going to her since 1996 (myomectomy)." "Great experience meeting Dr. Greco for 1st time." "Dr. Greco is outstanding. She always shows concern & compassion -"
"I have great regards for the doctor and staff." "Dr Greco was very attentive to me. she listened to my health concerns. she showed empathy. I am satisfied with the care provided and the personal phone call I received regarding my test result and follow up visit appointment. Thank you." "I called the person who referred me to Dr. Greco as soon as I left and thanked them - she and her staff are wonderful." "Scheduling is very difficult, almost too difficult and it seems as if the care giver is working on a time limit or has a directive to not spend longer than 10-15 minutes with the patient"
"Love Dr. Greco - she is the BEST!" "Helen Greco MD is the very best there is, and there is non better. She is professional, caring, gives me time to ask questions and always answers every one of them. My body is my own and she helps/advise's me on how to keep well -"
"Caring, compassionate physician excellent follow up skills." "I am really comfortable with Dr. Greco and her staff." "The doctor is very personable. She takes the time to listen and then answers your questions. She comes across as being very caring and knowledgeable." "I felt no personal connection with physician as she showed little concern for my gynecologic history and spent 3.5 minutes with me. I felt very rushed and treated like an object." "Dr. Greco is a highly competent and intelligent physician. I am very pleased with her care and would recommend her without hesitation." "Very sweet, caring, professional & informative." "Felt brushed off when asked about medical concerns." "Dr. Greco is wonderful - so very happy to have found her." "This doctor is the best in her field I have experienced." Navita Longworth needed two endometrial ablations and a hysterectomy to finally cure her adenomyosis.